The 2017 road season wrapped up over the course of the last month with some great racing. 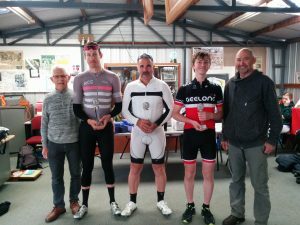 After finishing 3rd in the road champs and winning the time trial Tom Paton was crowned the 2017 Club Champion. Tom has again the honor of wearing the #1 race number for the next 12 months. In the women’s, Danni Bridger held daughter Molly courtesy of a superior time trial to win the women’s title. 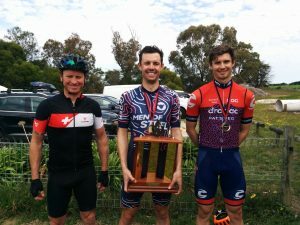 A high quality but small size field raced the 2017 Ross Bush Memorial Handicap. A scratch bunch that included past & present club champions plus a Warny winner were always going to be hard to hold off. Colin Smith riding off limit lost his companions half way through, which meant soloing to finish for the last 40K. With only a handful of K’s remaining Col was caught by scratch who had by now road through the field. In sight of the line Nick Squallri broke away from the pack to take the win & fastest time in an event that was missing form his palmares but wondered if he could ever win. Tom Paton 2nd & Oliver Kent-Spark 3rd. 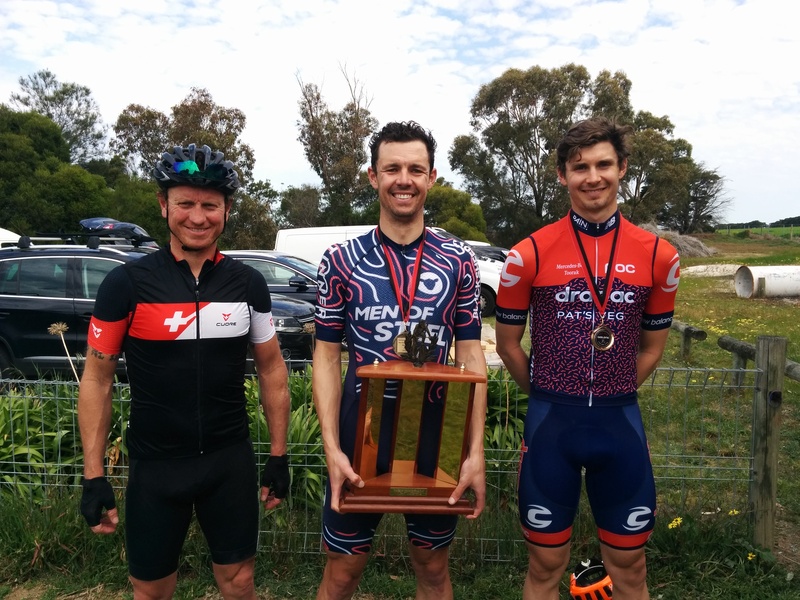 The last race of the season saw the culmination of the Donald Wilson Road Race Aggregate. It was tight at the top coming into the past event with a number of riders with their eye on the prize. After a long season of racing, Colin Smith took the aggregate from Trent Clifford and Kane Bridger. Colin a consistent performer over the entire season, always turning up and never pulling out describe the win as a great honor particularly as Don was someone he always looked up too. He said it was a win for the little guy, for those who aren’t the most talented but turn up and have a go. 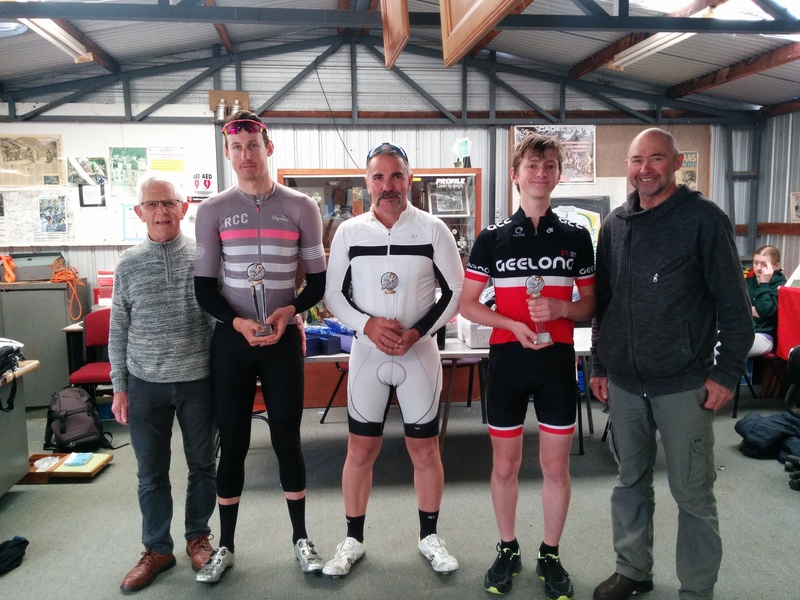 Trent, one of the strongest A grade performers in the club narrowly missed out on the title he had hope to win alongside his Club Championship road race win. Up and coming junior rider Kane Bridger taking 3rd place after a solid year. We look forward to seeing Kane work his way up through the racing grades over the coming years. Full results in the championship can he found here. Thanks to all the riders that competed of the course of the season. It was fantastic to have Donald Wilson and his family on hand to present Colin with the win. 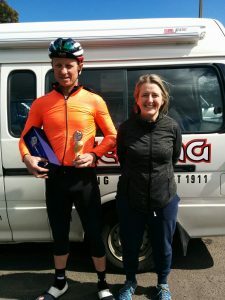 Donald being a revered figure in cycling whose honors list is extremely long, including Australian Road Race Champion and Olympic representative.